The best revenge we can have on failure is to turn our experience into an opportunity. 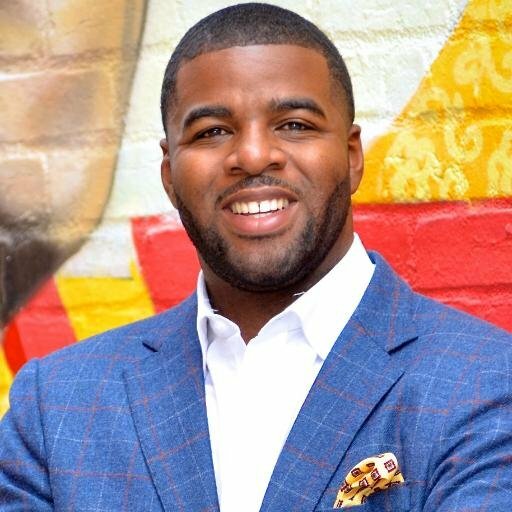 Raymar Hampshire epitomizes this idea as the founder of SponsorChange, a social enterprise that matches young professionals to skill-based projects at nonprofits and provides a student loan payment reward for each project completed. Perhaps the concept wouldn’t have occurred to him had his own high school record been more pristine and led to a lucrative scholarship. But, needing student loans to finance his own college career, Raymar had first-hand knowledge of the debilitating debt many college students find themselves in upon graduation. Searching for a solution led to the innovative approach of SponsorChange, which has garnered attention from media outlets such as MSNBC, the CBS Sunday Morning Show and CNN. As he admits, opening up about failure isn’t easy to do. But I’m grateful Raymar agreed to give it a shot to reassure others that creative failures don’t have to mark the end of an idea. Here’s what Raymar had to say about celebrating failure. What role does failure play in your work as a social changemaker? Much of my work is trial and error – there isn’t an existing plan to follow because SponsorChange is the first service of its kind. We strive to make educated and data-informed decisions, but we miss the mark occasionally and learn from our mistakes. I welcome mistakes from my team; it means we are trying and taking risks. What’s the best lesson you’ve learned on failure? My parents taught me early on that not trying is worse than failure. This has probably been my best lesson on failure. I’ve been able to have some success simply because I outlasted other people who gave up or lost interest. Charles Bukowski, one of my favorite poets, once said, “I am a series of small victories and large defeats.” I like this quote because he is brutally honest about his failures, yet he was also one of the most prolific writers in his genre of poetry. We all fail, but we all deal with failure differently – either we give up or keep trying new things. Have you ever celebrated one of your failures? If so, what happened and why was that failure a good thing? If not, can you think of a failure that you should have celebrated and why? Celebration? I actually have personal issues with being too celebratory of my victories, let alone my failures. I’m working on this! But, when I think back there are some failures that I’m thankful for. I guess these are the proverbial blessings in disguise. I once thought that I wanted to be a pharmaceutical sales representative. This was my senior year in college and it seemed like a lucrative career for a 21-year-old. I was lost. I applied for a job to sell a drug that I actually take to treat my asthma. I got an interview, [but] I didn’t get the job. I failed. And I’m thankful I failed. My 32-year-old-self would hate being a pharmaceutical sales rep. After this failure, I ended up becoming a broker for a large bank. I learned a lot about money, which has helped me with SponsorChange. Also, I’m thankful for understanding how it feels to manage student loan debt – this understanding is the reason I started SponsorChange. In hindsight, had I failed less in high school I probably would have landed an academic scholarship and graduated debt-free, never knowing how it feels to manage student debt or having the motivation to create an idea to address it. It’s ironic that one day you may actually be thankful for some of your biggest failures. What do you think keeps people from talking openly about failure? Everyone’s life is a highlight tape these days. We live in a day and age where social media is used to share baby pictures, promotions and pumpkins. These are the things we openly share. I get it, most people are terrified of being vulnerable with people they don’t trust – me included. I’m sharing my thoughts on failure [here] in hopes that it helps others. I think if you are in a position of leadership, you should become comfortable with admitting your mistakes and failures with your team. You should create a space where team members are encouraged to make mistakes, learn and create new solutions. Also, I do think that everyone should have a trusted circle of friends or advisors that they can confide in and share their biggest failures with. It’s healthy. What advice on failure would you give other artists & changemakers? Become comfortable with failure. If you’re not failing you are not taking risks. Failure is an active ingredient in the recipe of success. Thanks Raymar for sharing your story! Be sure you check out SponsorChange online and on Twitter. You can follow Raymar on Twitter @Philanthroteer. Good interview from a wonderful brother! Raymar, can you share your thoughts on why taking risks is important? Thanks Gee and great question. As a creative, I am developing something different and new. And because it’s new, there is element of risk; the possibility that something bad will happen. Risk is important for me because it’s intrinsic to the creative process–I actually can’t separate the two.